Get your chainsaw blade, or any blade for that matter, in tip top shape with this 3/16" File Chain Saw Blade Diamond Sharpening Burr Shank 120 Grit! This package includes a 1" working file length, 3/18" file diameter Sharpening burr. The shank diameter is 1/8" with a durable 120 diamond grit metal and handy holding case made of plastic. This Sharpening Diamond Burr Doesn't just allow you to sharpen chainsaw blades but blades of different sizes and styles! 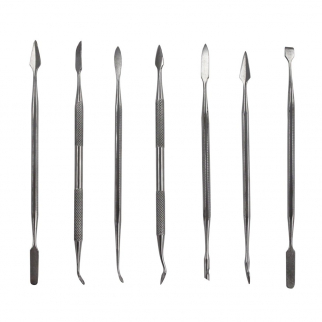 7pc Spatula Wax Carver Ceramic Pottery Double Ended Tool Set for Crafts Sewing $ 7.99	• 60% off! Universal Tool Premium Jewelers Saw Blades 0/2 Size - 144pc Set $ 8.99	• 47% off! 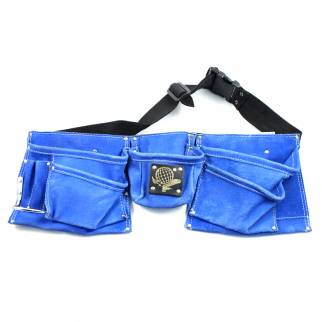 9 Pocket Tool Belt Heavy Duty Suede Leather Fits Hammer And Nails - Blue $ 21.99	• 27% off!